Unryu, which literally means "Cloud Dragon Paper," is made by adding long swirling fibers to a basic kozo pulp. Unryu paper is white and translucent. 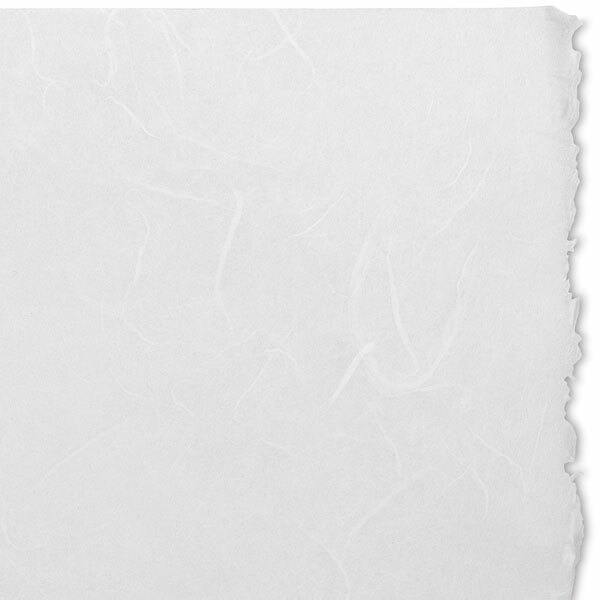 Sheets are 24" × 39" (approximately 61 cm × 99 cm), not sized, and acid-free, with deckle edges.